BigClasses provides Informatica 9.6.1 online training with its new Features and capabilities of Informatica 9.6.1 platform, the latest Informatica makes it easy to deploy and develop all kinds of projects from integration projects to Big Data and Cloud projects. Informatica Corporation targets every business from small to medium. Reducing the cost and making the up gradation free can improve the usability and increase the career scope of youngsters. Informatica 9.6.1 with fully integrated agile development delivers business five times more quickly than traditional or competing approaches. 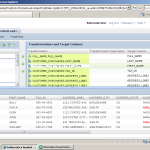 Informatica 9.6.1 delivers great data for organizations and also individuals. Customers and users can gain a competitive advantage when they can find, transform and clean data to fit their business requirements. Only Informatica 9.6 can deliver data at any scale from departmental to enterprise and from transactional to big data while accelerating many data integration projects by a factor of five. Informatica platform navigates data projects, ranging from modest departmental projects to the largest of multi-node cluster Hadoop projects. It delivers great data by bringing people together, process and technology. 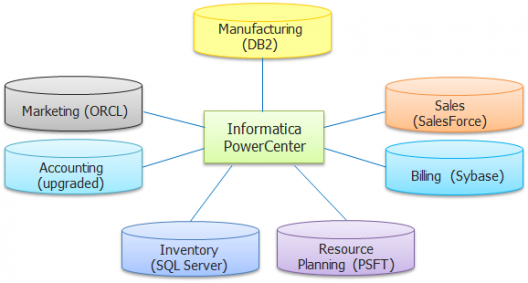 Informatica 9.6 offers three new platform packages including new versions of Power Center Standard, Power Center Advanced and a new Power Center Premium Edition. Informatica platform harnesses both the power and the simplicity of the cloud. About 2000 companies, with 2 Billion records processed daily on Informatica Cloud. Informatica Cloud Designer is a simple wizard-based mapping with a flexibility of advanced mapping capabilities. 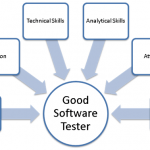 Informatica Cloud Test Data Management makes an ability to create secure test data subsets for development activities. 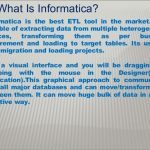 Informatica Software Developer Toolkit simplifies the development of custom data integration connectors using Eclipse-based Authoring, publishing, and configuration to the Informatica Marketplace.